"As valuable for the executive going into her umpteenth interview as for the college grad seeking his first real job." In today's job market, how you perform in an interview can make or break your hiring possibilities. 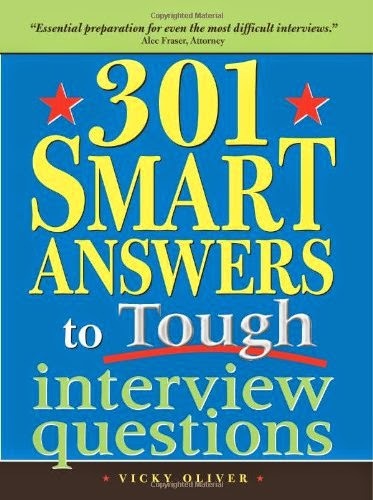 If you want to stand a head above the rest of the pack, 301 Smart Answers to Tough Interview Questions is the definitive guide you need to the real, and sometimes quirky, questions employers are using to weed out candidates. --It looks like you were fired twice. How did that make you feel? --Do you know who painted this work of art? --What is the best-managed company in America? --If you could be any product in the world, what would you choose? --Are you a better visionary or implementer? Why? Leaning on her own years of experience and the experiences of more than 5,000 recent candidates, Vicky Oliver shows you how to finesse your way onto a company's payroll. "Everything I always wanted to know about job interviews but was afraid to be asked." -Claude Chene, Senior Vice President, Head of Business Development, U.K. and Europe, Sanford Bernstein & Co.